Skateboarding Task Force to hold public input session September 26 at 2:00pm at Heaven. The Hartford Skateboarding Task Force will hold a public input session on September 26 at 2:00pm for the future skatepark at New Ross, County Wexford Park-- “Heaven”. The goal of this session is to solicit input from local skaters, BMXers and others about what they would like to see at a formalized skatepark in Heaven. Task force members are mindful of the history of the space and it is very important to them that any addition to the park be made with the support of the local skaters and riders. 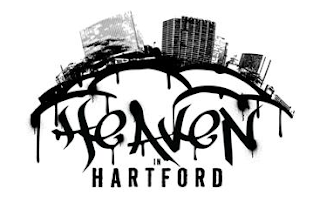 The Hartford Skateboarding Task Force was empanelled in winter 2009 by the Hartford Court of Common Council to explore the viability of a formal skatepark in the City. In April 2010, The Task Force recommended that a skatepark should be built at the City’s de facto skatepark, “Heaven”, New Ross, County Wexford Park atop I-84. The Council accepted these recommendations and since then the Task Force has been exploring funding opportunities as well as creating design recommendations. More information is available at http://heaveninhartford.org/.